US-based social marketing company Wayin has launched the “Wayin app store”, a platform that enables brands to customise and optimise previous campaigns and re-launch them in different geographies, which is designed to maximise the reach of conversion-driving interactive marketing experiences. According to the company, with 40–60% of the average ad budget spent on non-working media, such as agency fees, digital product builds, and content manufacturing, brands are continually wasting time and resources on reinventing the wheel with every campaign. The new service looks to reduce non-working media costs over time by empowering brands to build on existing digital campaigns that have proven to be successful. 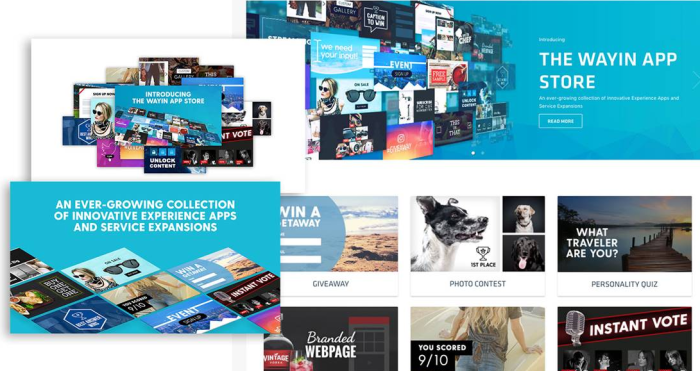 Along with the app store, the company has rolled out a series of new service expansion apps that enable brands to integrate more creative and interactive features into their campaigns. Applications include a meme-generator, live social maps to enrich storytelling, ad unit integration for more dynamic experiences, Facebook Live and Periscope voting and charting, chatbot creation, augmented reality experiences and prize fulfillment capabilities. Sell-side platform PubMatic and Publicis Media have partnered to launch a targeted private marketplace which aims to create high-q..
Are your creatives running out of ideas? Maybe it's your office. Design guru Michael Held shares three tips on how you can use yo..